Broadcaster Pat Kenny and his wife Kathy have emerged victorious in their battle against plans for three apartment blocks and seven houses on a site adjacent to their Dalkey home. This follows Dún Laoghaire- Rathdown County Council's decision to refuse planning permission to property firm Bartra Capital Property for the 19 apartments in three blocks, ranging up to four storeys along with five three-bed homes and two semi-detached homes for the 1.4-acre site. The ruling by the council represents a resounding victory for the Kennys as the local authority endorsed a number of grounds for refusal put forward by the couple. At the end of their 16-page objection, the Kennys suggested that the proposed development by reason of its scale, height and design would have an overbearing visual impact and be seriously injurious to the setting, amenity and appreciation of neighbouring properties. In its comprehensive refusal, the planning authority echoed many of the reasons put forward by the Kennys. The council said the proposed development "would seriously injure the residential amenities and depreciate the value of property in the vicinity and would thereby be contrary to the proper planning and sustainable development of the area". It also ruled that the height, bulk and scale of the proposed apartment Block A would result in visual overbearing as viewed from adjoining sites and would result in over-shadowing of the adjoining site. In a note attached to the refusal, the council said that aside from the reasons for refusal, the planning authority has other concerns regarding the proposal. However, the battle is not over yet for the Kennys, and some 17 of their neighbours who also lodged objections, as Bartra now has the option of appealing the decision to An Bord Pleanála or lodging plans for a revised scaled-down development at the site. 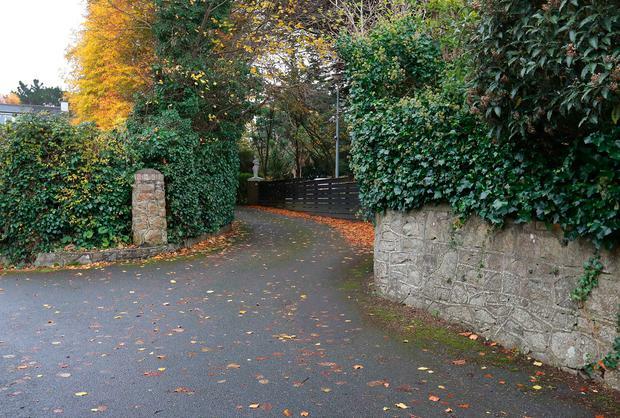 Bartra paid €3.1m for the Maple Tree House site adjacent to the Kennys' home.